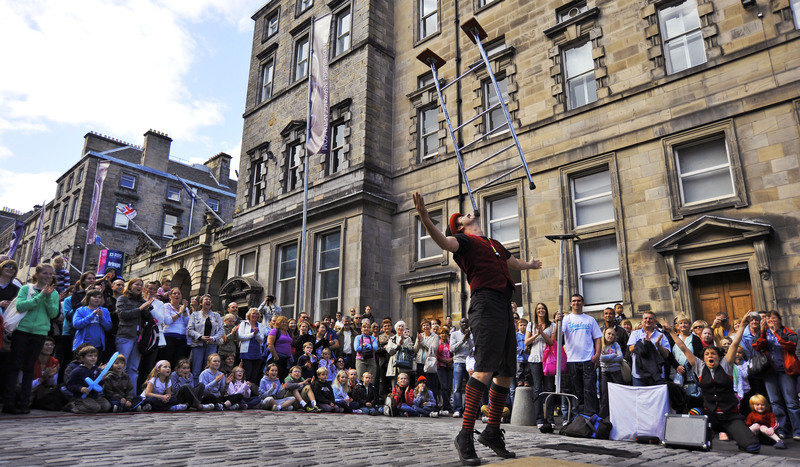 Caroline Cant is a seasoned veteran of Edinburgh’s Fringe Festival, a month-long performing arts festival held every August in the Scottish capital. Here she imparts her essential tips for any newbie to the festival. She’s the author of one of my favourite blogs, the hilarious The Redheaded Woman. As sure as the tide will turn, the Fringe will return. And here we are once again in August. Admittedly you may be confused by the unseasonable sunshine and lack of rain, but yes, this is August, and that can mean only one thing: the thesps are loose. 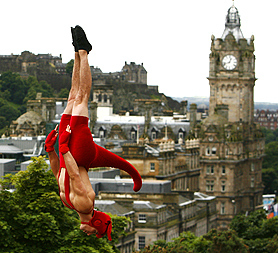 Whether you are a local or are visiting the UK from overseas the Edinburgh Fringe is a cultural must. Here are my pointers for making the most of this year’s Festival. 2013’s Fringe, is the biggest one yet. The festival has been revolutionised by technology in the last few years and now there are plenty of ways to stay on top of what is happening day to day. 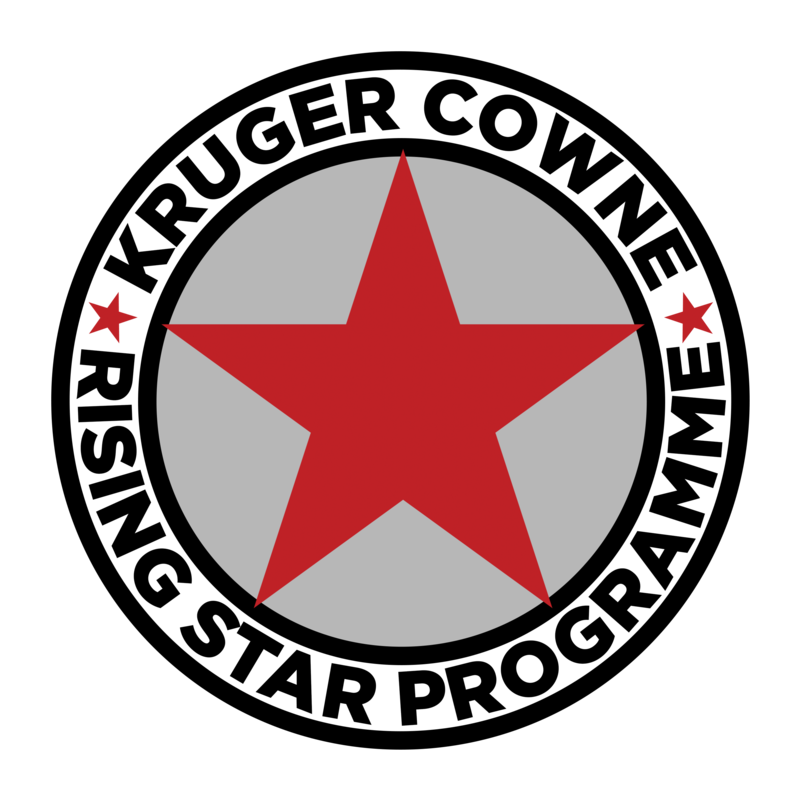 If you have a smartphone make sure that you download the Fringe App, it is simple to use and highly informative, an essential piece of snazzy technology to have on you as you wander the streets of the city. 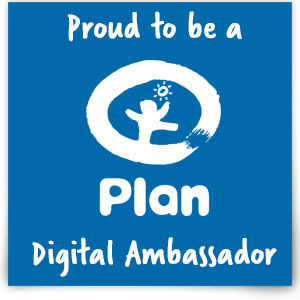 Get on Twitter! 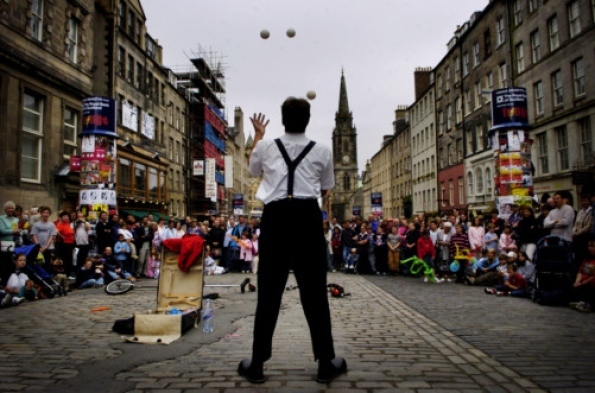 @Edfringe is the official twitter account, but there are also loads of reviewers, companies and individual performers on there letting you know their thoughts and tips for the Fringe. 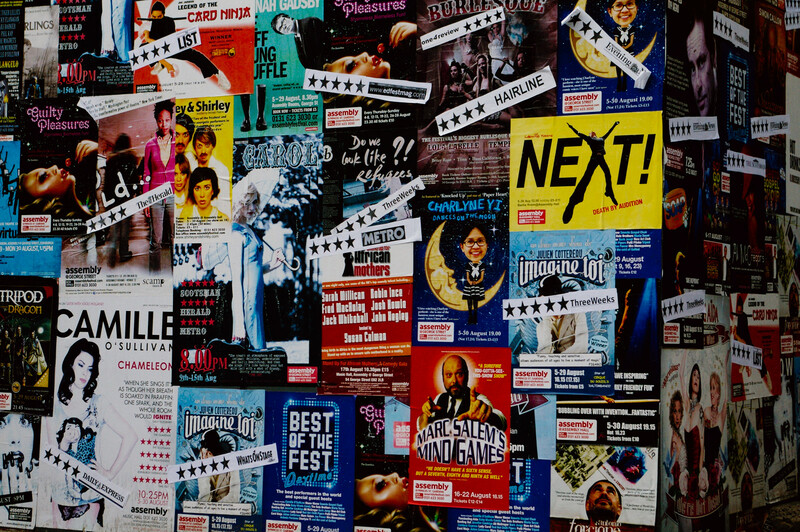 Apps have certainly transformed the Fringe, and make finding little individual gems that bit easier, but if that isn’t for you then go into any venue and pick up the official Fringe brochure, it is full to the brim with exciting theatrical tip bits for you. I keep mine with me in my handbag, covered in coloured sticky notes and highlighter marks, not high tech, but a Fringe survival essential. Above all, allow yourself time! Edinburgh is a big place with thousands of venues. Just because you have a half hour window between shows doesn’t mean you are wallowing in time. Lots of places will not allow you in after the performance has started, so keep a map on you, plan your routes and remember: It’s the Fringe, the city is fit to burst, your journey may take you a little longer than you anticipated! In terms of booking your performances, I would recommend booking a handful in advance, it’s nice to know that you have definite tickets. This is especially important if there is a show you really want to see or a performer who has a strong reputation. Some shows will sell out very early in their runs, so bear that in mind. However, giving yourself a certain amount of freedom means that you are able to tailor your experience each day. Listen to what people are saying in the street, talk to the performers (you will see them everywhere you look as they are all out on the Mile desperate to get you to see THEIR show), what have they seen? What do they recommend? What’s on next? Yes you may see some odd and off the wall pieces but you may also see something you had never been aware of before. I highly recommend leaving one day/afternoon free and dedicate it to Free Fringe. This does what it says on the tin, performers put on shows for free. The etiquette for such shows is that there is a little pot which you can contribute to at the end if you have enjoyed it. This is the Fringe at its roots and is really worth giving a go. One year I spent my entire trip doing Free Fringe, I saw some truly gripping drama, and some comedy that reduced me to tears, all while sitting in some of the strangest venues, including a cupboard in a pub. I did also see some awful things, one afternoon I saw a gay musical where the lead man (slightly paunchy and wearing a kilt) hit a scarily high note and attempted the splits, resulting in his genitalia falling out of his underwear for all the audience to see. That is the joy of the Fringe though, you see things you really weren’t expecting, intimates and all. Venues range from traditional theatres to caves, boiler rooms to back rooms in pubs. Embrace it, it’s part of the sheer excitement and verve that makes the Fringe so special. It’s worth choosing a couple of shows purely for the venue. I would recommend “The Ginge, The Geordie and the Geek” at Just The Tonic @ the Caves. A low budget sketch show that is clever and EXTREMLY funny, it is also in an amazing venue. Quite literally performed in caves, the audience is lead under a pub where you then sit in a basically lit alcove to watch the show. 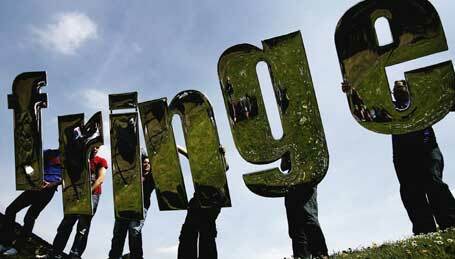 The Fringe is all about experiencing the wild and wonderful so give it a go! The Fringe is gaining a reputation for being a comedy festival. Yes there is a huge amount of comedy, it pours out off thousands of venues on every street, but remember that there is also theatre, dance, cabaret, song, poetry, readings of every sort and every other sort of performance besides. To go to the Fringe and just watch comedy would be a real shame. Push yourself and try and see as many different types of performance as you can. In particular make the most of University theatre groups. These are an amazing way to see up and coming talent, original writing and some truly exceptional productions with minimum cost. Make sure you don’t just see the Oxbridge offerings. We all know that Oxbridge have amazing productions to offer, I myself am heading to Cambridge’s production of Oresteia and am really excited to see it. Remember though that there are lots of other universities with a history of strong performance with a great deal to offer. For example Exeter have four different student companies up there this summer with a huge range of productions. I would recommend “On Hold”, it got brilliant responses at its previews in Exeter and London, and has already drawn a few critics to its audience since the curtain rose last week. UEA also have some brilliant productions in Edinburgh this summer and have a reputation for producing exceptional theatre. The sun goes down but theatre never stops during the Fringe. The fun only stops when you do! Keep in mind that Cabaret in particular often starts late. It’s a real experience and ranges from a good old-fashioned knees-up in a small pub to something more risqué. If you are going to a cabaret performance, make sure you have established its contents first, the fringe is extremely laid back and you are always welcome to leave if you are not enjoying a performance, but it’s best to know what you are getting yourself into especially where cabaret is involved! Finally, don’t forget where you are, Edinburgh! It is a truly beautiful and inspirational city with arresting architecture and a vibrant culture. 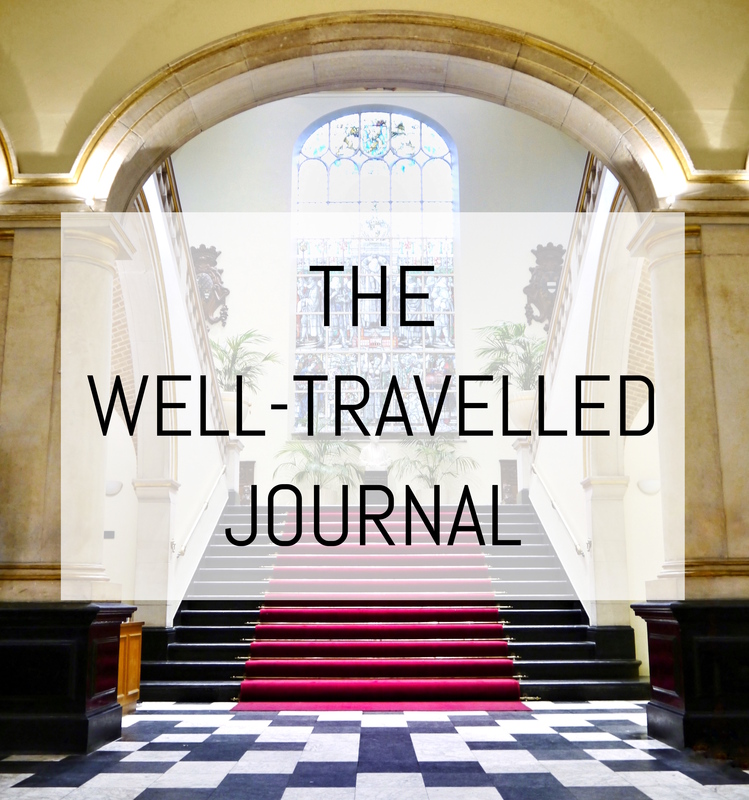 The people are welcoming and quite rightly love their home, and they want you to see it. Try and set aside some time to spend exploring the city. The Castle is dramatic and imposing and definitely worth a visit, there are lots of beautiful parks and historic sites that deserve a look and there are hundreds of tours available. If you’re feeling athletic climb Arthur’s seat, the view from the top is unparalleled and after the climb you’ll have earned yourself a battered Mars Bar (not necessarily a cultural experience, but definitely a curiosity that is worth a try!). Edinburgh Castle & Hollyrood house are a must and give real insights into the history of the city and are great cultural experiences. Also in terms of shows my highlights were: Blam! : Die-Hard meets the Office, which is incredible and entirely unique – highly physical, lots of Parkour and great fun. 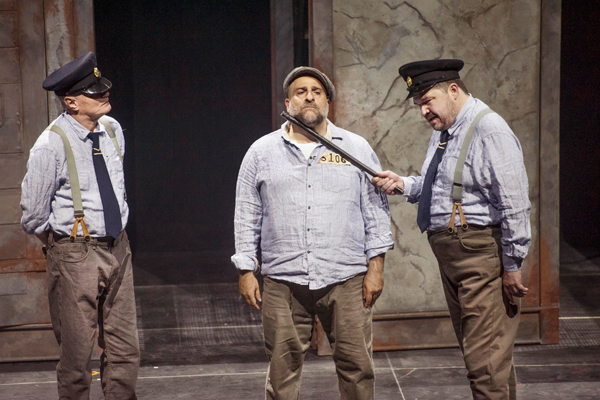 Omid Djalili’s The Shawshank Redemption is fantastic and leads an incredibly strong cast in a very powerful adaption, see it now before it goes to London & ticket prices rocket. Lastly, The God Particle, written by same man who writes Bluestone 42 & Miranda, which is clever, well performed and very funny! !!! I am so desperate to visit Edinburgh when the Fringe is on and this has just made it even worse! Sounds like such an experience.